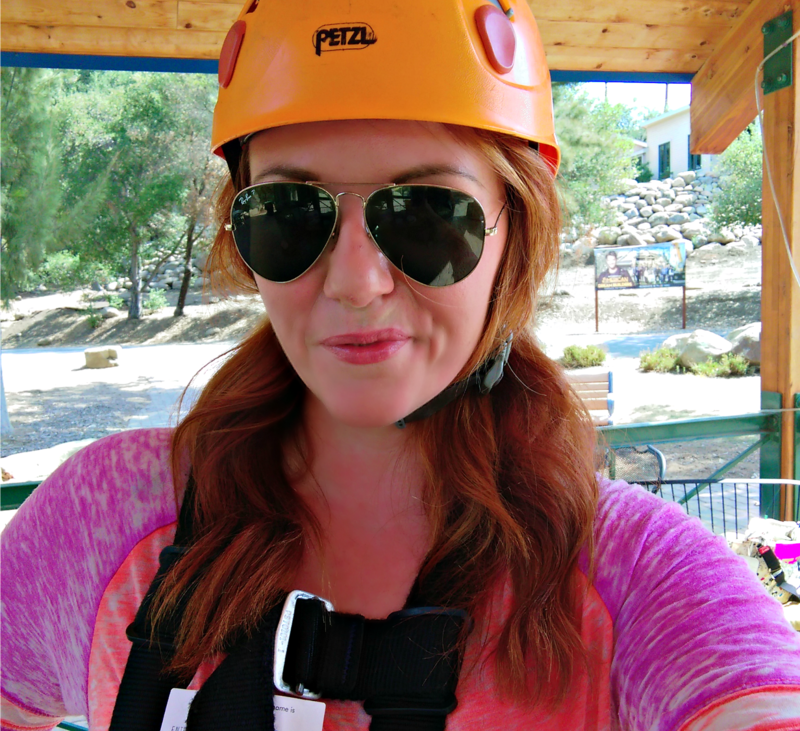 Have you ever zip lined before? Honestly it wasn’t something that I had given too much thought to until last September. I had heard of people doing it and enjoying it, but it had never been something that was presented as an opportunity for me, and I never went out seeking for it. 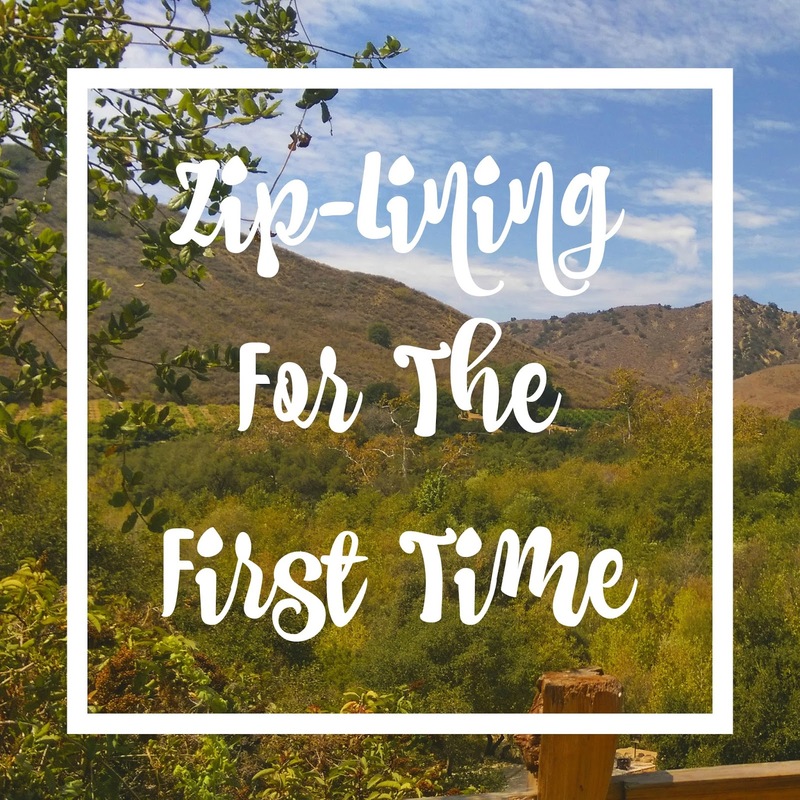 While I was touring the KOA in Ventura County though, we were offered the opportunity to check out two of their 3 zip lines – and I couldn’t refuse. 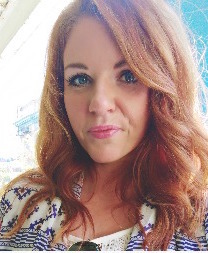 I wasn’t sure exactly what to expect, and there was definitely mixed levels of bloggers, from experienced to novices like myself. We were all assisted in gearing up, AKA having a harness placed around us and a helmet secured on. 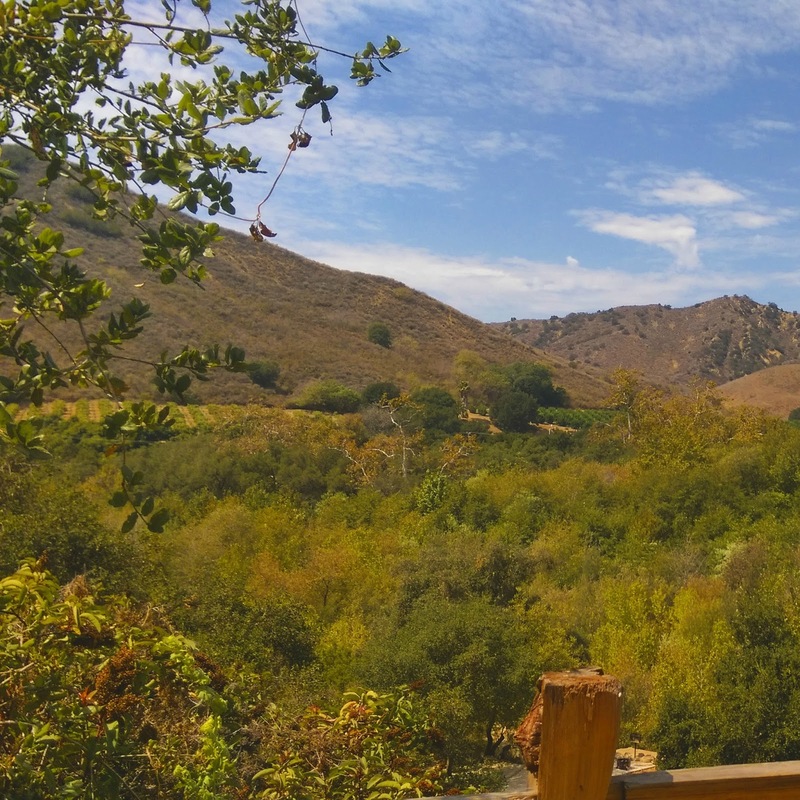 You step into the harness and it hugs your legs pretty snugly, and the hooks that connect you to the zip line are by your chest. To be completely honest with you guys I was a little nervous. I’m not afraid of heights nor was I in fear that I would get stuck, but I guess I was just nervous of the unknown, and hard it would be to stop. I watched and observed about 90% of the other bloggers take off and land, then got up the courage to step up on the steps and have my harness hooked up. On the count of three I took two steps, jumped off, and flew. I stayed in a sitting position as I soared through the air, and the only tricky part was keeping myself forward and not twirling in circles. The zip line had a catch, so it slowed me down prior to reaching the second platform, making stopping relatively simple. From that second platform we climbed up a ladder to an even higher platform, where a second (and longer) zip line waited for us. The second time I wasn’t nervous and really enjoyed ‘zipping’ through the air. Would I zip line again? You bet. Was it a little out of my comfort zone? Absolutely, but you know what? It made for one fun memory.